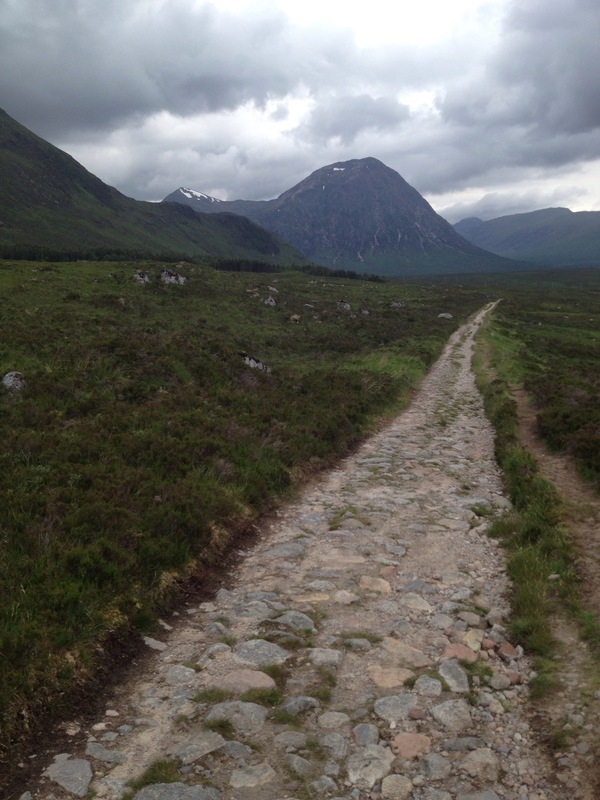 Had a splendid 2nd part of the week on the west highland way. Inverrarnan to Tyndrum, Tyndrum to Kings House, Kings House to Kinlockleven and finally Kinlockleven to Fort William. The scenery naturally getting grander the further north we went. A few aches and pains by the final last section didn’t deter anyone from completing the challenge. And although mixed at points we were generally very lucky with the weather, often with the worst of it coming on after our day had finished. I’m now looking forward to having a nice rest day visiting family, before doing my first bit of work for Yamba Uk next week. 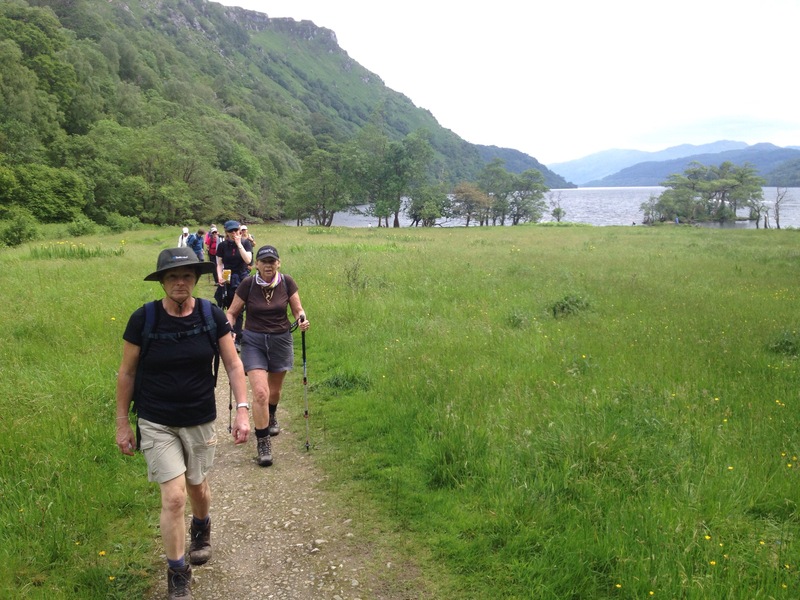 This week I’m leading a west highland way trip for explore outdoor, and having a lovely time. I remember trying to convince a mate to come on the west highland way with me when I was about 15, and it never happened. So it’s very nice to come along 5 years later and do it for work! Currently we have made it as far as inverrarnan. And write this staying in a very nice camping pod in Tyndrum. 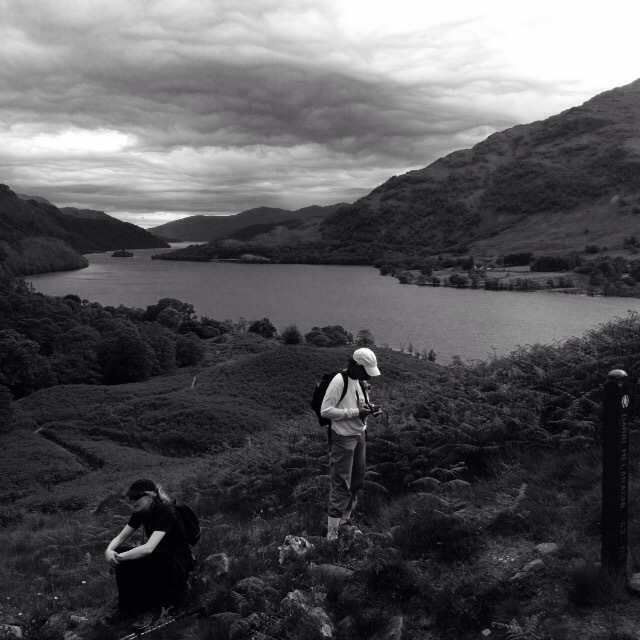 A few photos below of the journey along Loch Lomond. Seeing the peace and tranquility of nature when it connects to the hustle and bustle of the urban world has always looked beautiful to me. The view of factory fumes seems less concerning with healthy green grass in the foreground. It brings an immediate understanding, to whoever gazes upon it of the importance of the place they’re in. The idea of sitting high up on the tops of the howgills and only being able to hear the roar of the M6 four hundred metres below, doesn’t ruin the silence of the hills, it highlights it. I’m currently sitting above anglezarke resovoir waiting for a DofE group to finish. And I’m looking on to the industry that surrounds this part of the county and somehow feel that bit more blessed. When man and nature meet right in front of our eyes, only a fool would fail to realise just what beauty we have on offer to escape to. A fantastic weekend was had working with Maximum Adventure leading a National 3 Peaks Challenge for Colin, Hayley, Janine, Angela, Ruth, Lucy and Chris. 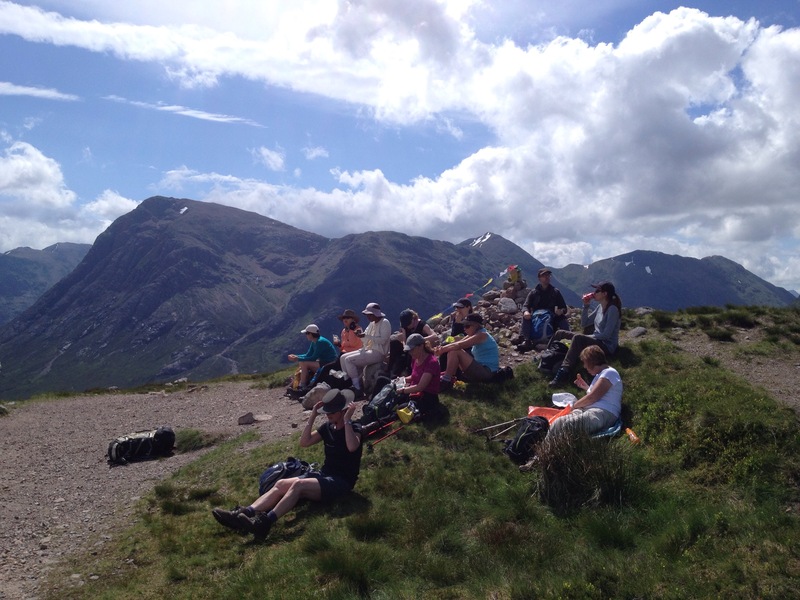 A retreat off Ben Nevis, like many other groups that day, was made at just below 1000m due to full winter conditions setting in just above. The Scafell Pike leg was started at a perfect time to watch the sunset over the surrounding fells of Wasdale, with a descent in the dark. 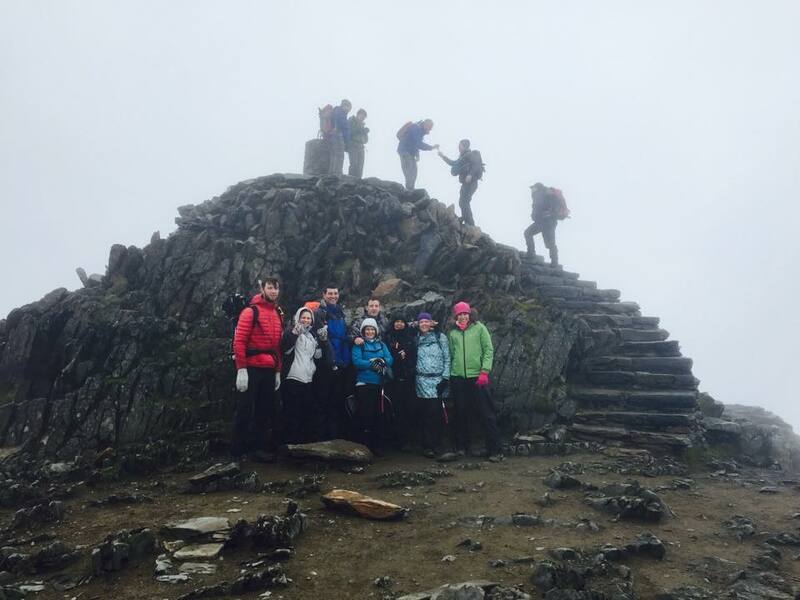 And with great determination from all participants we made our way onto Snowdon summit up the Miners Track and back down to the pyg track to the car park by 1:15pm on the Sunday. It was great to spend time with such a lovely bunch of people, and see them push themselves to achieve a great result. 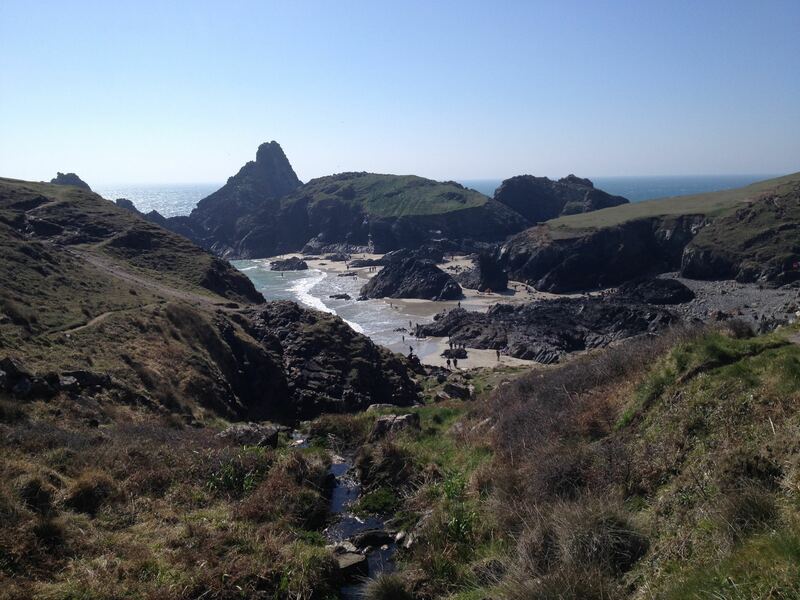 Last Wednesday we awoke in sennon cove ready to head over to Kynance Cove and Lizard Point. The day had some amazing sights and it was a great way to spend the last full day of our trip. 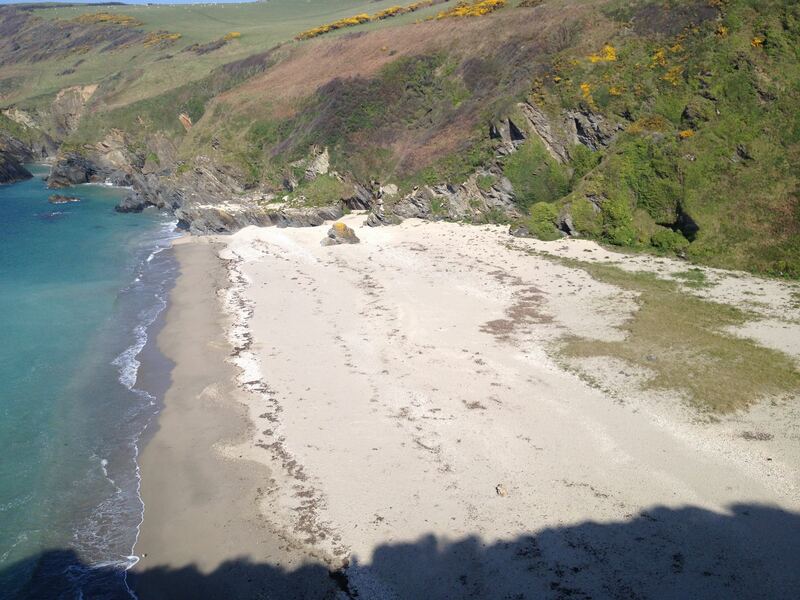 We stooped of for tea in Polpero, before parking the van close to Lantic Bay and bedding down for the night. After finishing off the rest of the bacon for breakfast we spent our final morning in Cornwall down at Lantic Bay, enjoying the beach. The sea still a little bit chilly this time of year for a swim but we had a paddle none the less. On the way home we stopped of at Jamaica Inn and Stone Henge. Both rather disappointing experiences in my opinion, representing no more than a tick in a bucket list after all the commercialisation packed into them. It’s been an awesome time seeing the south of the country and I’ll definitely be coming back in the future. And can’t wait to climb on the granite sea cliffs. Having an awesome time exploring the more southern parts of the country. Sunday was spent driving down, with a quick trip to Bristol and a lovely night on Dartmoor. We awoke to a herd of the wild Dartmoor Ponies grazing outside the van, and after a leisurely breakfast we made our way through the national park towards Cornwall. The day was spent exploring the beaches in glorious weather and trying to remember we were actually still in the UK. The night was spent with a BBQ at Bassets Cove, followed in the morning by a quick get away to Hell’s Mouth cafe where we’d been informed a good fry up could be found. We weren’t disappointed. We then carried on to St Ives and sampled the traditional cornish pasty and then onto Land’s End and finally Sennen Cove where we plan to bed down for the night. The coasts, coves and moors of the south make up for the lack of lofty peaks, and I feel guilty that I’ve avoided visiting sooner. Lovely to be back up in the Lake District working at ymca lakeside. Getting up high on Wednesday to swirl hause near wetherlam, was the highlight of the week, the langdale pikes and bowfell looking great in the sun. It is now becoming the time of year when those last few evenings can be enjoyed climbing before the inevitable darkness of autumn hits. 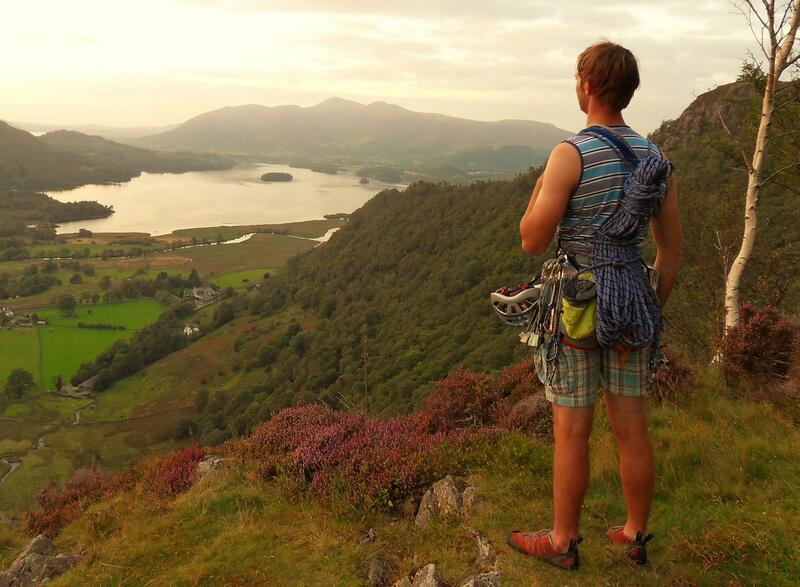 Recently I’ve been heading out with Andy getting some routes done down in Borrowdale. And it was the other night that we jumped in the van and drove down to Black Crag. Our objective for the evening, Raindrops. A direct line going straight up the centre of the crag and up the side of the pinnacle. Again it was a beautiful top out. Skiddaw and Derwant water looking proud in the evening light. So it seems this year, that there hasn’t been much time for rock climbing. I’d been very career focused, primarily focusing on gaining qualifications and preparing for assessments. It would seem that the few time I had gone out, my head hadn’t been in it. Rock climbing at it’s best isn’t just simply pulling on holds and topping out on routes. It’s about living and briefing everything it has to offer. And this week, thanks to a few people I have regained that. I felt once again the joys of driving to the crag, the feeling of apprehension before starting up a committed route and the feeling of success after a hard pitch. There was once a point in my rock climbing where I thought it was all about trying hard, and climbing routes by the skin of your teeth. I have since come to realize that, this is an important part to being a climber. It keeps us excited and focused. With this passion for ongoing development a climber can spend their time away from the crags, reading guidebooks, watching videos, and when necessary training hard for those climbs that they dream of climbing, however far out of their comfort zone they may be. But as well as that it must always be remember that climbing is an adventure. It leaves tales to tell, and feelings to crave. It distracts us from the life we left behind on the ground below us, and puts us into a new world where we can appreciate the beauties of the world we’re in from an angle not many see it at. It was the other night at Buckstone How, with Andy that I remembered the joys of climbing. Setting off from the car park at half 6 we climbed ‘Cleopatra’ and loved every second of it. I remember sitting on my belay ledge in awe, as Andy ventured onto the final pitch silhouetted by the setting sun sitting on top of Red Pike. In the light of dusk we topped out, shook hands and ventured back down to the van our voices alone in the ever-darkening valley. I was once again a climber, and this was my life in one of its finer moments. And that goes to all of us. No matter where you are and what you are doing, it must always be borne in mind that our dreams, and passions set us out as the people we are. And that can always be recaptured. A trip I did a few months back….. I looked at the forecast in the same way I had looked at my TV screen whilst secretly watching ‘Alien’ as a 12 year old boy – through the corner of my eye with a slightly disgusted squint across my face. I was going regardless and “wind and rain is good for the soul”, I reminded myself. I got in my car and began the long drive towards Aviemore. It was 4pm by the time I arrived at the Ski Station. I wrote a quick note to leave in my car window and then shouldered my rucksack, with it’s 4 days worth of gear and food, before heading off into the Cairngorms for what lay ahead. A slog up Windy Ridge on the way up to the Ptarmigan (top ski station) allowed for time to get used to the weight of a heavy pack again, before continuing onto Cairngorm. I didn’t know it then but the couple I passed on the way up to the summit would be the last human contact I would have for the next 2 days. My next stop was Bynack M ore and dropping down to the connecting saddle via the back slope of Cairngorm, truly put me into the heart of the mountain range, an immediate shock in contrast to the ski slope territory I had just left. Loch Avon and its mighty river that journeys along the uninhabited Avon valley for miles on end, lay below me. 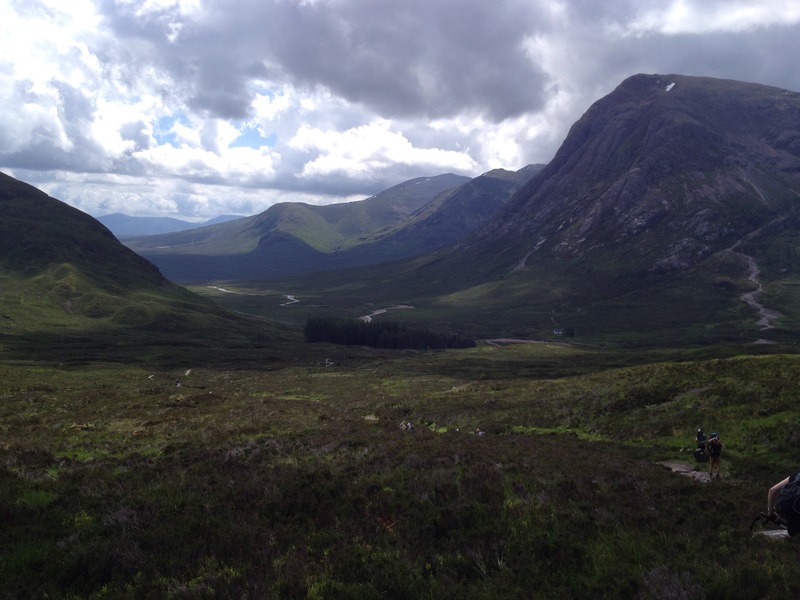 It was these valleys, unscarred by man, that make the Cairngorms look so attractive on an OS 1:50 000 Landranger map, but when you’re actually there, something special connects with you. Life’s problems lose their importance. It’s just you, your backpack and wherever you decide to go with it. I journeyed further onto Bynack Mor. Granite pinnacles, iconic of this area, emerged out of the thick fog. Similar in stature to the gritstone of the Peak District, beaten into submission by years of weathering, yet somehow still standing strong – refusing to accept defeat. The summit presented a lonesome cairn hidden in the midst of the surrounding rock. As I went on to lose height I lost the fog and saw the tarns below me and the lesser hills of the national park rolling on for miles on end. I also saw the track. This track would take me back to Glenmore, from where a quick hitch would get me back up to my car the next day. My mind searched for reasons to follow it. But I remembered once again about the drops and climbs in morale levels these trips give you. This was an unexpected low. But it’s all about knowing when and where your morale is likely to dive down, and being prepared for it. This was amplified on the final section to camp, when I hit a sudden high – knowing I would be feeling comfort an d warmth within the next hour. I pitched my tent and followed the routine I had planned for myself over the next 3 nights. Making sure I got plenty of energy and fluid ready for the next day, I hung my head torch from the top of my tent. It lit up the place. The rain tapped in different strengths throughout the night as I opened up ‘The Plague Dogs’ and read further about the gap in the pens of Snitter and Rowf, and the error of their careless kennel hand when he left their gate unlocked. I awoke that morning having slept like a log. I’d spent so many nights in this sleeping bag over the last 3 years that it was practically like my bed. The planned day wasn’t a massive one and the rain was hitting hard outside. I decided to wait and see if it dropped at all. Leaving camp at 1:30pm, I ventured off, passing the Avon refuge and the river, before progressing up the Avon Valley and all its emptiness of human life. I began to think – if morale can dip from high to low and back again that easily, surely it wouldn’t be too hard to keep it at one smooth level. I predicted that potentially the worst point in the day for my morale would be on the summit of North Top. Wind, rain and fog were likely to be at their highest ferocity there. Today I knew the best part would be pitching camp. I suddenly had a new outlook. My tent was my permanent home. As far as I was concerned I didn’t have another home made of bricks and mortar back in Cumbria, but just this one of lightweight siliconised nylon and titanium pegs. Morale wasn’t an issue. This was now my life, a new one and I liked it. I continued up the valley until I came to my turn off, a series of streams running along a drop in slope angle. I followed this up and made my way onto the plateau from where I could see my summits for the day, partly cloud covered. I let my mind wander. It wondered about my future, where I had come from, the first step I ever took on a fell and the first step I took on a rock face. Time in the hills puts any issues at home in a new light. An almost irrelevance. And I know I’m not alone in thinking this. It’s as if watching a soap opera, where all kinds of stuff goes on, but all it takes is a glance to the edge of your TV screen to remember it’s not reality. I was out in the mountains making proper decisions that actually do affect your day. That’s as real as it can get! In this manner I continued onwards to camp summiting Beinn A’ Bhuird, and Beinn a’ Chaorainn along the way. On arriving at Lairig an Laoigh, my camp for the night, I felt the heart of the Cairngorms beneath my feet. This was UK hillwalking at its best. I followed the same routine as the night before, eating my pasta and pesto, having a couple of brews and semolina whilst continuing to read about Rowf and Snitter as they broke their way through the building and journeyed out into Coniston. They were unfamiliar with the world around them – wondering what kind of a man could destroy all the buildings and leave the natural landscape looking so empty and green. No doubt a similar thought many kids from the heart of the city have when they come up to the Lakes for the first time in their lives. Morning came before I knew it. I decided to lie in until 12, I had the feeling that the weather would clear, and I felt that actually a clear, dry day would be quite nice – a day off from constant pacing and bearings. I set off up Beinn Mheadhoin at a leisurely pace and then stopped for a bite to eat and some water on the top above Stob Coire Etchachan, looking down onto the amazing rock faces in the coire below. After that I strolled up to the summit of Mheadhoin, a 12 metre high granite outcrop, similar to Higgar Tor. Clearly some good quality climbs lay on the front of it, but an easier approach can be made from the northern side for the hillwalker looking to ‘claim’ the summit. It was here I saw another person and it actually made me slightly sad. I’d enjoyed my own company over the past 40 hours. The weather was glorious throughout the afternoon and remained that way as I arrived on Cairngorm Derry, my final summit of the day. It was here I began to flag. I had probably been burning more calories than I was consuming over the past few days and now I could feel my body eating into my reserves. Camp was another 7km away. I just needed to keep going and resist the temptation to tuck into tomorrow’s food. I deliberately camped half a kilometre away from the Corrour bothy, where I could see numerous parties camping. I wanted to be alone. After two helpings of pasta and some semolina the adventures of Snitter and Rowf were continued, as they found their way onto the open fell and in a bit of bother with the farmer and his sheep dogs. It was soon time to go to sleep however. It would be a long day tomorrow. 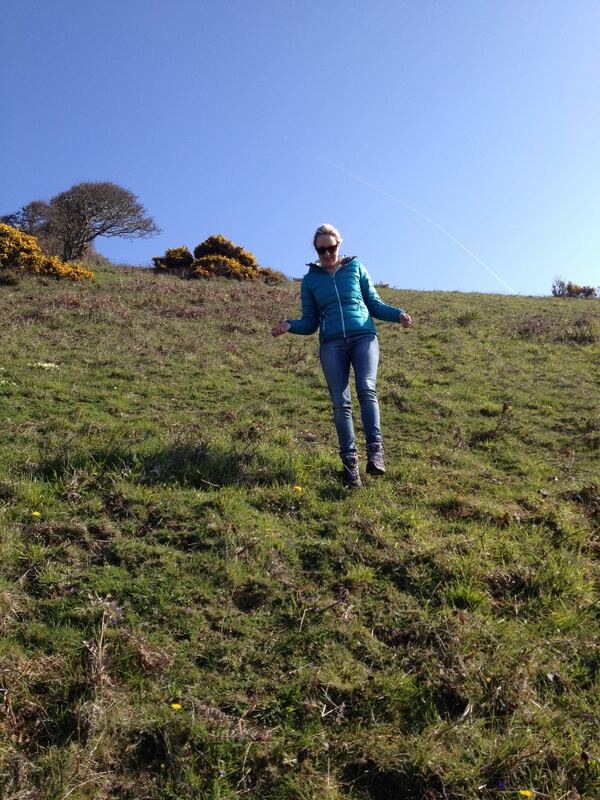 I wanted to be at the car by 4pm, and I had the third highest mountain in the British Isles to ascend in the morning. I awoke in my own time at 6am, keen to get up. Porridge and two cups of coffee were consumed whilst listening to my iPod. I was away by 7:30am ready for the day ahead. Passing the morning campers I was soon on Coire Odhar in good time, where I found three bivouacers cooking breakfast, all well into their 60s. I was most impressed by this effort, and if I’m getting out like them at their age, I’ll be a happy man. After a few friendly words I continued up into the 1200 metre zone. The clag was thick and it would remain this way throughout the day. I timed, paced and took bearings from one summit to the next and in this manner made my way onto Carn Toul, and Sgor an Lochain Uaine, the cliff edge constantly below me giving the route an airy atmosphere as the cloudy void lingered below. I worked my way across the plateau towards Braeriach. Busy sticking to a bearing and timing through the mist, I was disturbed by a rumble coming through the ground. It was then I looked round to see the Cairngorm Reindeer running through the clouds right next to me. They stopped and stared and I looked back at them. I couldn’t remember the last time I’d seen something so beautiful. Their eyes were huge and welcoming and their fur-lined antlers stood proud and mighty – yet they seemed so humble about the fact they were there, as if they’d never seen their reflection and therefore didn’t have all the arrogance that would be sure to come with it. We spent a couple of minutes just staring at each other. I even took a couple of photos and then apologetically picked up my pack, continuing to my final summit of the trip. I stood on top and howled into the cloud around me – knowing this magical moment would become a magical memory. It was home time. I worked my way down into Lairig Grhu, visibility increasing as I went. I sat by the river and sank my tired head into the stream, water running up my nose. After a quick wash – a vain attempt to get rid of the stench that had accumulated over the last few days – I picked up my rucksack and made the final push to the car. At the time I didn’t know why I had gone to the Cairngorms. Perhaps I felt I needed it. Maybe as consolidation for the nights of navigation I’d been doing on the hills over the last few months. Maybe just to feel the cold and rain and the contrast of a warm dry sleeping bag at the end of the day. Maybe I went because I needed an escape. In a way I got all of them. Four days in the Cairngorms creates a good story to speak of after. It requires good nav skills, an ability to cope with hours of wind and rain and a strong passion for the landscape around you. But most of all the Cairngorms require mental robustness. And if you don’t already have it, then that’s where you’ll get it.